A female pedestrian was critically injured after being hit by a school bus in New York City. The bus accident happened Monday morning around 9:20 am in Queens. The 32 year old woman was crossing Grand Ave near 74th street when she was struck by a yellow school bus. No children were on board. The woman suffered head trauma and a broken shoulder. She was transported to the hospital where she was listed in critical condition. There is no cross walk at the intersection of 74th Street and Grand Ave, making it a dangerous intersection for pedestrians. 4 children and 3 adults were injured in an accident involving a school bus and a passenger car. The accident happened at the dangerous intersection of First Street and Fourth Ave in Park Slope, Brooklyn, NYC last Friday around 3pm. The school bus was traveling northbound on Fourth Ave and was trying to make a left turn onto First Street when a Mustang struck it. The impact was so strong that the bus flipped on its side. The passengers, 4 children and 2 adults as well as the driver of the mustang were all transported to the hospital. Located one block away from a school, the intersection of First Street and Fourth Ave is both dangerous for drivers and for pedestrians. 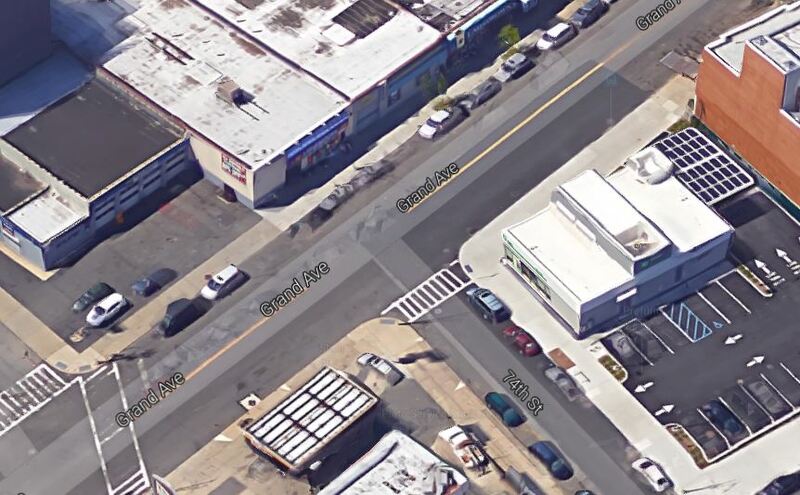 On the Vision Zero map two people complained about poor visibility at this intersection. One of them expressed concern about the fact that many school buses were turning left onto First Street from Fourth Ave with almost no visibility. The other one called the intersection chaotic. Double parking as well as a nearby car wash are also adding to the chaos according to the comments. 11 people suffered non threatening personal injury after a car struck a school bus that was stopped at a red light at the intersection of Liberty Ave and 183rd Street in Jamaica, Queens, New York on Tuesday. 9 children and two adults were injured and transported to the hospital; two of them suffered serious personal injury. This school bus accident is the second one since classes started again on September 4th. Last week nearly 30 children were injured when two school buses collided in the Bronx, NYC.